For this DS 106 assignment I had to edit a picture so only one part of it has color and the rest is in black and white. Hence the name of the assignment Color Splash. 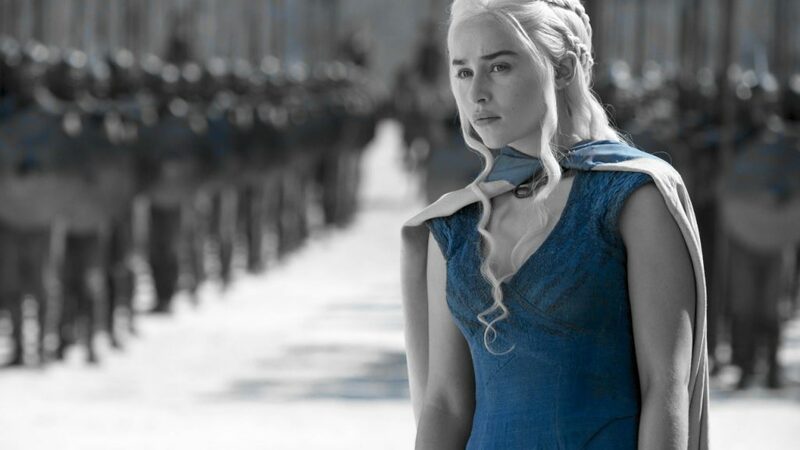 I started off by obtaining a picture from the web, which I got a photo of Daenerys Targaryen from one of my favorite shows Game of Thrones. First I imported the picture on to Sony Vegas Pro 10. Then I added the effect color corrector secondary. I clicked on the customize tab and checked the invert mask box. Then I clicked on the effect range dropper tool and selected the area of color I wanted to be in color. Then I reduced the saturation to 0. In the limit saturation section I dragged the low to 0 and the high to the highest number. I repeated that process for the limit luminance section as well. After all that, only the blue parts of the picture had saturation and the other colors were completely desaturated. I liked how it turned out however, I’m sure there are multiple other ways to do this assignment but I completed it the way I knew how to. I love game of thrones big fan of it can’t wait for season 7 this summer!!! !